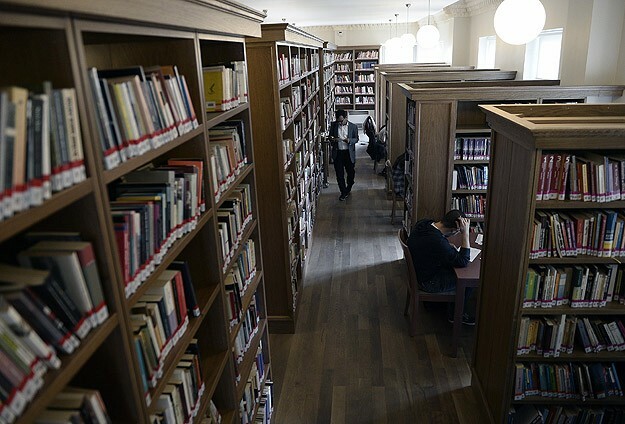 At least 139,141 copies of books were removed from 1,142 public libraries across Turkey as part of the government’s post-coup crackdown, according to the Culture and Tourism Ministry data. Minister Numan Kurtulmuş said during a parliamentary meeting on Oct 11 that investigations are underway against 139,141 copies of the books in 1,142 libraries under the administration of the ministry. The books are subject to investigations because they were either written by Fethullah Gülen and his followers or published by the publishing houses that were closed with government’s post-coup decrees, Kurtulmuş said. He added that all such copies were withdrawn from the libraries. Turkish government accuses Fethullah Gülen and his followers of leading the July 15, 2016 while the cleric denies involvement. A post-coup crackdown that first started against Gülen’s movement has spread to hit all opposition circles, leading to closure of hundreds of schools, publishing houses, newspapers and media outlets. Kurtulmuş said the books in question had been added to library collections via transfers, donations or direct purchases between 1982 and 2014. Turkey’s Education Ministry destroyed at least 1.8 million copies of textbooks that mention the word “Pennsylvania,” or that include texts from government-targeted journalists, Birgün daily reported in December, 2016. The objectionable textbook for sixth graders reportedly refers to American author James Michener, who mentioned Pennsylvania as his place of birth. Michener’s text was censored only because Gülen lives in that same US state. Turkish police have, on multiple occasions, displayed seized copies of Gülen’s books as terror evidence over the past year. Also, license plates including the letters “FG” were removed from vehicles belonging to the Denizli Courthouse in August 2016.